What Is Your Online Portal? Your Online Portal is a personal website that you can use to download the program, view your files from any device, and change your account settings. Below is a complete guide. 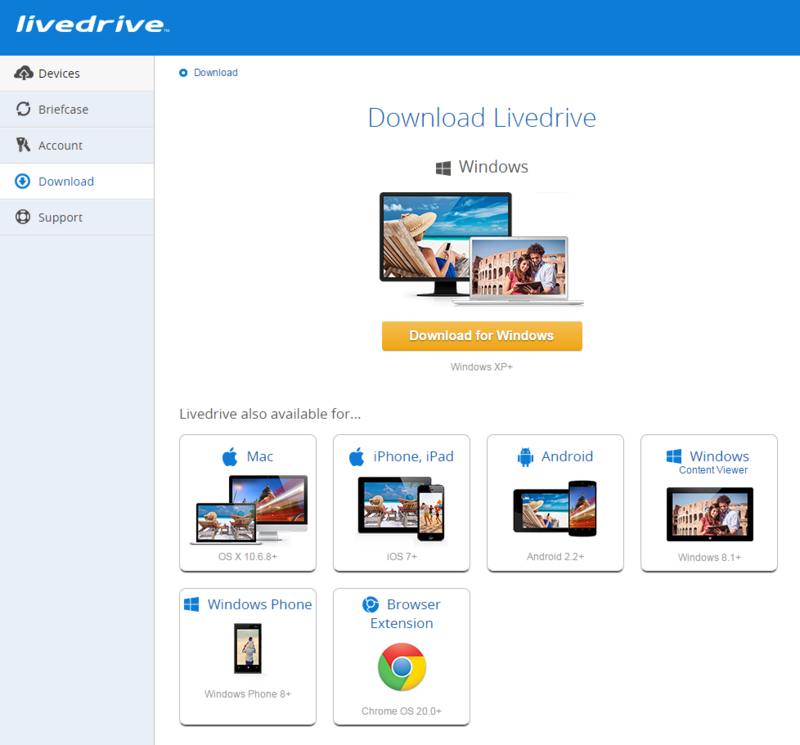 The devices page is the default page shown to you after logging in. It shows the current status of backups on the various devices linked to the account. The View Backup button on a device will show the files and folders that are backed up from that device. If a computer is no longer in use, that device can be removed from the account by clicking on the ‘X’ in the Device view. You can choose either to remove the device but keep all the backed up files or remove everything. You can also view the contents of your Briefcase online. From here you can choose to add folders to your Briefcase, upload files and folders to your Briefcase or view hidden and deleted files. You can click on files in the Briefcase to view these in greater detail. - lets you invite specific people to view the file or make it available for public viewing. - the new name is reflected in the Briefcase folder. 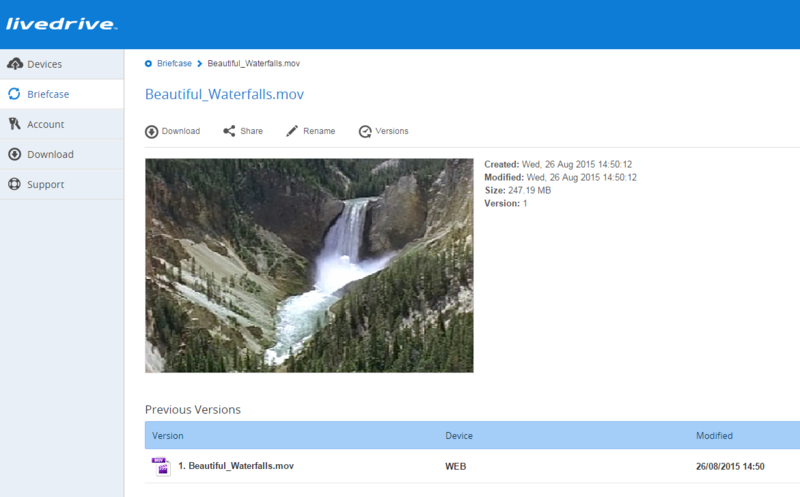 - allows you to edit Office and image files online. 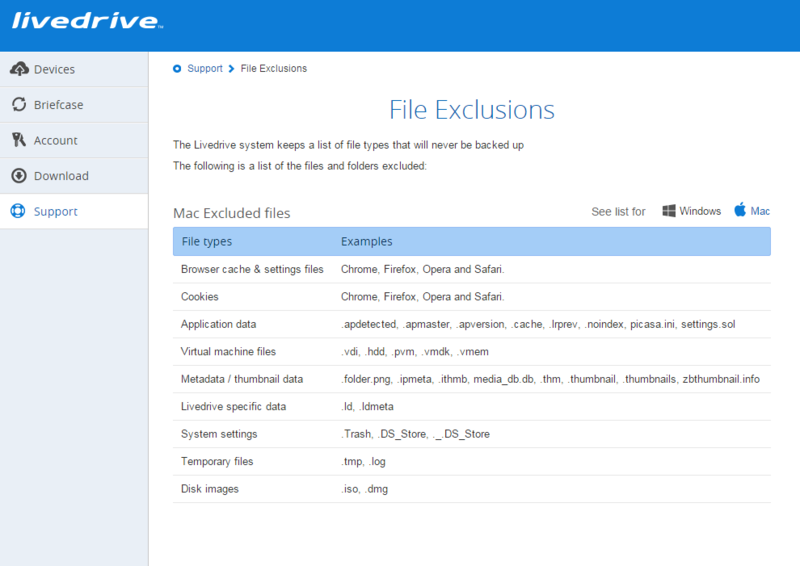 - you can use this to revert to previously saved versions of the file. The account section allows you to view and amend your personal and account details. This page contains your contact and password details, the plan you are currently on, your personal web address as well as information on how you can close their account. 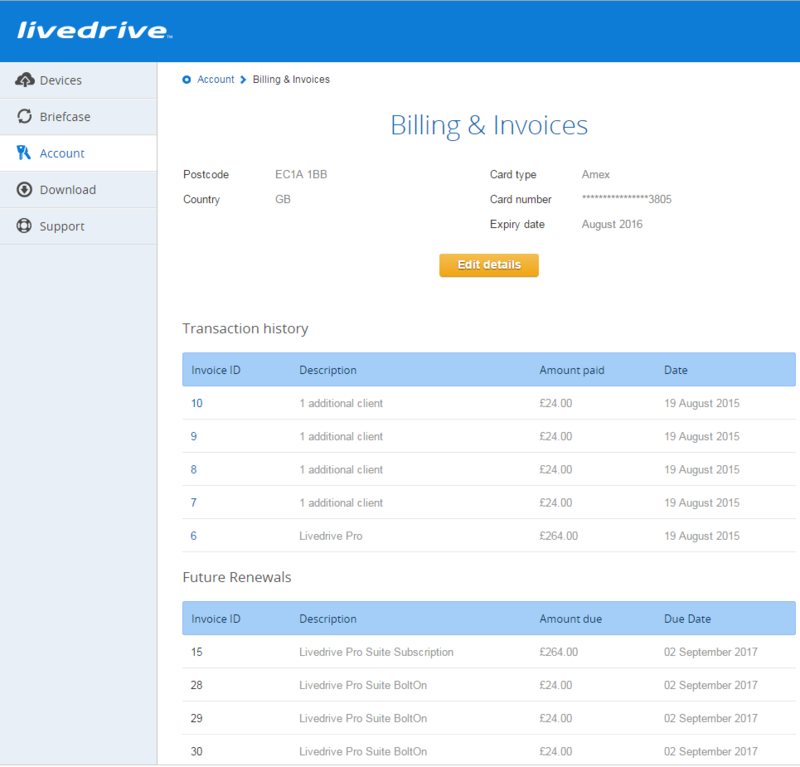 The Billing & Invoices page provides you with information on your transactions with Livedrive and the date of any future transactions, such as renewals, that are due to occur. You can also view and amend their payment details on this page. On this page you can choose to purchase add-ons for your account. 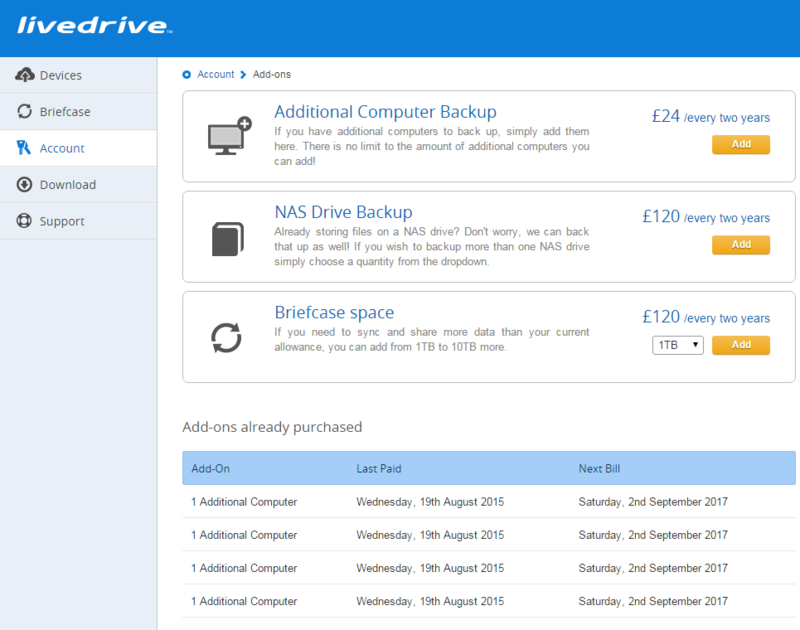 The add-ons available to purchase are; additional computer backup, NAS drive backup and Briefcase space. 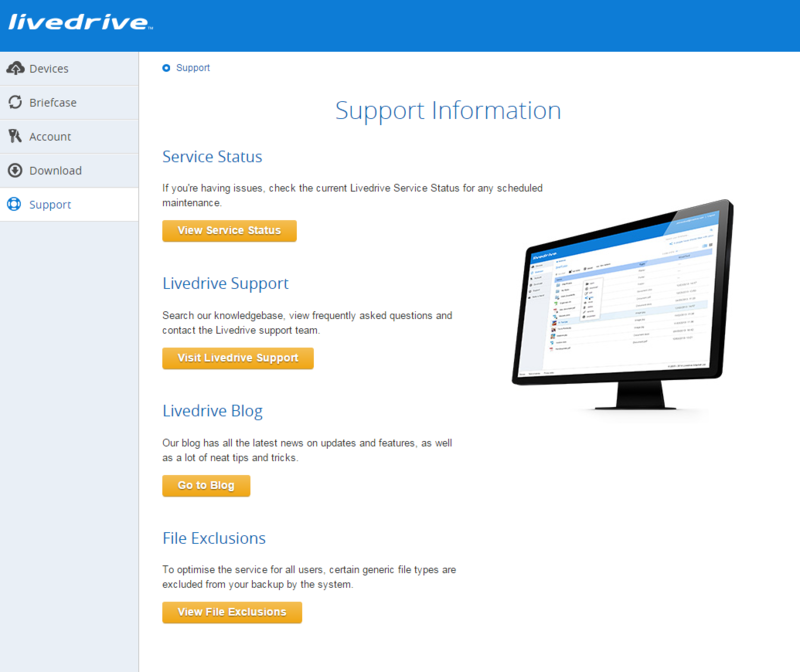 The Support pages provide information on how to access cloud support and contact Livedrive. 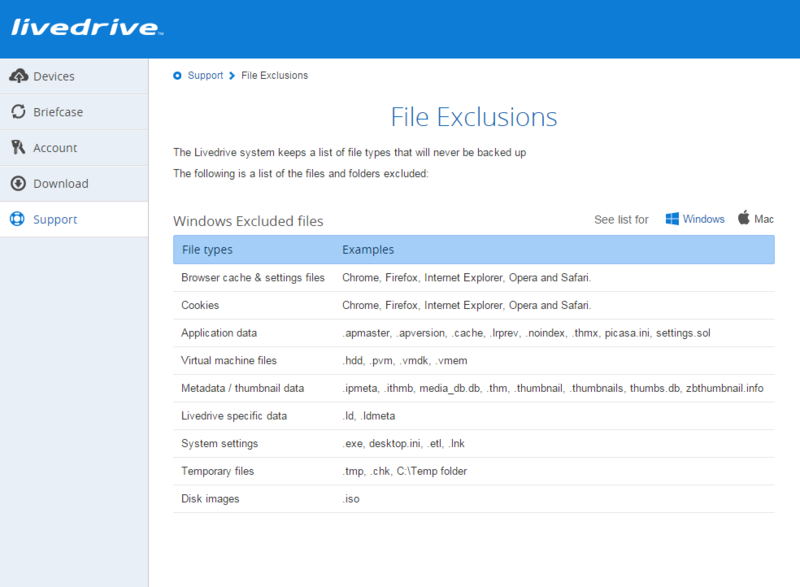 You can view the file types that are excluded from your backup by clicking on ‘file exclusion list’.